How to reach Located at 5 Kms west of Trichy atop a small hill, now known as Uyyakondan Malai. This Sivasthalam is situated on the top of a rock hill of 30 feet height. 64 steps cut in the rock takes one to the top of the hill. The temple has 5 prakarams with high compund walls on the 4 sides. Stone inscriptions found in the temple give details of patronage and renovation work undertaken by the Pallava King Nadivarma Pallavan and hence Karkudi is also referred as Nandivarama Mangalam. It is interesting to note that Lord Shiva's shrine is atop the hill and that of His Son Lord Muruga's shrine is situated at the bottom of the hill. Usually the temples for Lord Muruga will be found on the top of a hill and here, in this Sivasthalam, the shrine for His Father is atop the hill. Apart from the srhines for Lord Shiva and His consort Anjanakshi, separate shrines for Sakthiganpathy, Mahalakshmi, Durgai, Lord Brahma, Bhairavar, Sun God Sooriyan, Dakshinamurthy, Chandikeswarar and Navagraha are situated inside the temple. The inner walls of the temple are found with full of stone inscriptions with details of donations given by the Chola Kings Rajarajan, Uthama Cholan etc. 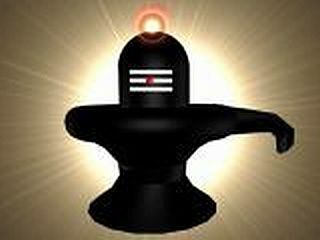 According to mythology, Mrikandu Maharishi did penance on Lord Shiva for getting children. Lord Siva asked him whether he needed 100 useless children who may live for 100 years or one intelligent, righteous son who would live only for a short period of 16 years of age. Mrikandu preferred to have one righteous son who may have a short life span of 16 years. The child thus born was named Markandeya who also came to know about this dealine and then he took shelter in Lord Shiva. Markandeya, who was an ardent Siva devotee from his childhood, visited many temples of Lord Shiva and prayed to him for longer life. It is in this sivathalam at Karkudi, Lord Shiva pleased with Markandeya's true devotion and worship, appeared in front of him when he visited this temple and gave him a boon that Markandeya will be a Chiranjeevi and will live forever thereby nullifying the deadline of 16 years of life.